Barren Landscape: Who is Afraid of Albanian Women? For many Albanian women, the domestic is a space of terror and violence; what could be more heroic than surviving and writing in spite of that? How is it that a formal literary curriculum can almost completely erase the works of a group of proficient, formidable writers? In this essay, Barbara Halla, Asymptote’s Editor-at-Large for Albania, asks this question of her country’s educational system, while also discussing and revealing the extensive work of Albania’s female writers. I could make a long list of my grievances about the Albanian educational system, but I have generally appreciated the breadth of my literary education. In four years of high school, I was assigned some eighty books to read, spanning Western literature from Antiquity (starting with The Epic of Gilgamesh) to Shakespeare, Hugo, Hemingway, and Márquez. I no longer retain the official list of my required reading, but it is not hard to find a contemporary equivalent. I graduated from high school in 2011, and in eight years, the list selected by the Ministry of Education does not seem to have changed much, which I find questionable. 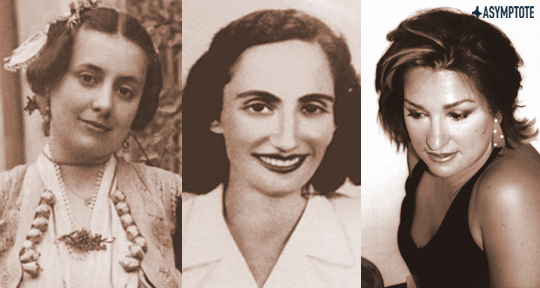 While I am grateful for my literary education, with the years I have become acutely aware of its flaws, the most egregious of which is the complete dismissal of women writers, especially Albanian women. Dozens of books, an entire year dedicated to Albanian literature during my senior year, and yet I graduated without having heard the name of a single Albanian woman writer. It was almost as if they didn’t exist.